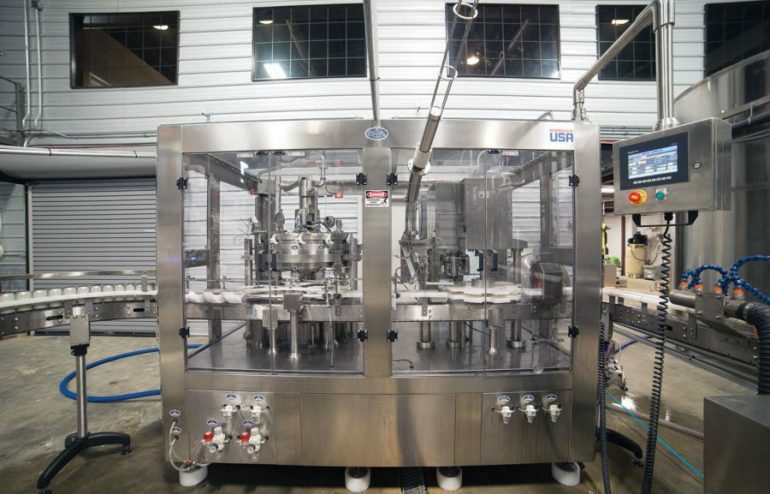 Coming soon to the US to be installed at BaderBräu Brewery in Chicago, our friends will be the first brewery to own a WaveGrip G2 fully automatic multi-packing system added to their Palmer Canning Systems canning line. We have partnered up with WaveGrip across the pond to bring you an innovative and competitive solution to your packaging needs. 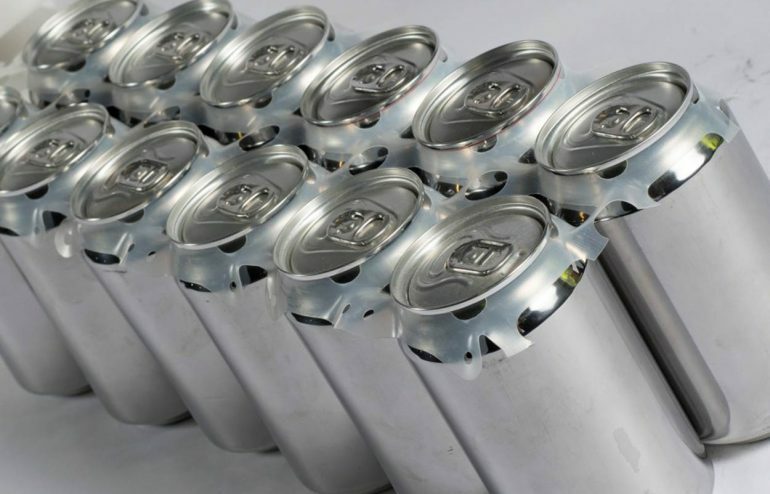 At just under 6 cents a 6 pack and at 1/3 of the weight of other options on the market it’s a product Palmer Canning Systems is proud to offer. The life of a brewery moves in different stages: First there’s the concept, then the opening, then small batches of beer turn to monstrous batches that produce hundreds of gallons at a time, then distribution, then, as some start to do, making packaged beer. Delray Beach’s Saltwater Brewery has entered that next phase with the addition of our canning line, which this week has created enough beer to make six-packs of Screamin’ Reels IPA available at liquor stores, grocery stores, restaurants, and bars throughout our area. Head Brewer Dustin Jeffers shared the scientific reasons for why the brewery went with cans over bottles. 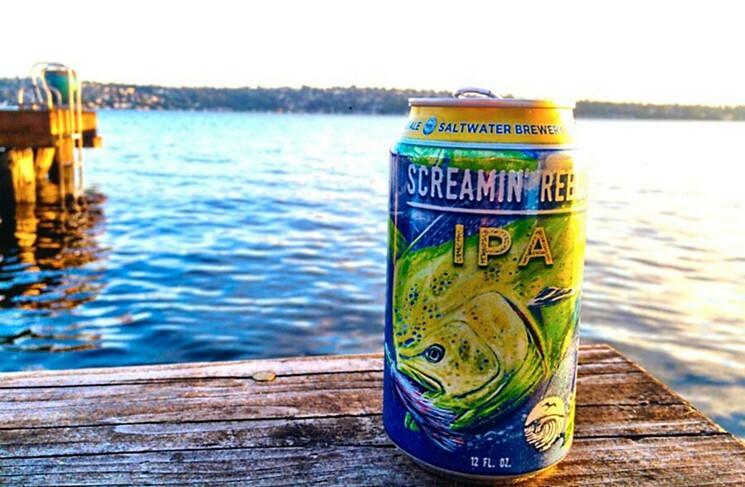 Congratulations to the guys at Saltwater Brewery! As of June, Warped Wing Brewing Co. has reached a highly anticipated milestone after only six months of operation using our beer canning line. Located in downtown Dayton, Ohio, Warped Wing released its three core beers — 10 Ton Oatmeal Stout, Flyin’ Rye IPA and Ermal’s Belgian Style Cream Ale — for distribution in 4-packs of 16-oz. cans in mid-July. …said Nick Bowman, Marketing Director for the brewery. The brewery will be the first in the new wave of microbreweries in the region to can its beer, which allows for easier transportation and the potential sale inside facilities that prohibit glass, such as baseball stadiums. Cans are also enjoying a new found hipster popularity in the craft beer crowd, which could also help boost Warped Wing’s sales. 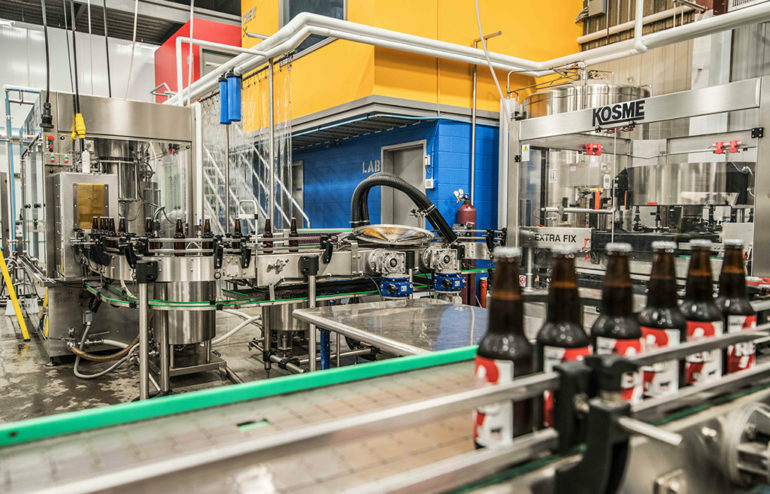 We recently installed a brand new canning line at Boulder Beer Company, Colorado’s first craft brewery. It was manufactured at our Lafayette, IN, shop and is the eighth can line we have built in the US. The system is a rotary closed counter-pressure filler with USA made valve components, producing extremely low can airs. Founded in 1979, Boulder Beer Company has been a pioneer in the craft brewing industry for 35 years, celebrating their milestone 35th Anniversary this year on June 14th. Their passion for innovation keeps their brand mix diverse, offering a taste for every palate. 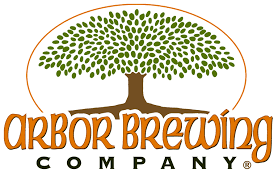 They currently package seven year-round beers, numerous rotating seasonals, and periodically release very limited-edition, small-batch brews throughout the year.